The kitchen is undoubtedly the most important room within a home. This room acts as a hub to facilitate day-to-day living within a household. Homeowners days typically begin, and sometimes end, in the kitchen. For these reasons, having kitchen remodeling results in a happy and healthy family. For many homeowners, the only way to achieve the kitchen of their dreams is through remodeling. 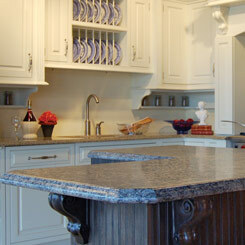 A personalized kitchen can create a sense of pride for a homeowner that brings a warmth to the whole home. Experts have recently said that families are more inclined to bond and spend time within a kitchen than any other room in the house. Having a kitchen that is enjoyable can lead to healthier eating and saved money! The most common reason for a kitchen remodel is to achieve more usable space. Outdated kitchen storage can create clutter and a loss of organization. When planning a new kitchen remodel, new storage options can be created to keep the new kitchen tidy and more spacious. Most often this can be done by creatively increasing pantry and cabinet space. Remodeling Magazine recently surveyed national data throughout the United States to determine the return on investment associated with kitchen remodels for the average homeowner. They found that anywhere from 68% to 75% of kitchen remodeling costs can be recouped upon the sale of the home. This makes a kitchen remodel on of the most economically sound investments that can be made in home improvements. Many homes these days feature old, outdated kitchens. This can make a whole home feel like it’s stuck in a past era. Though some homeowners may like that idea, the overwhelming majority would like to have a clean, modern kitchen design. Through remodeling, homeowners can make functional, yet aesthetically pleasing, updates to their kitchen while increasing usable space within it. 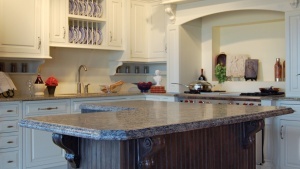 If you are interested in remodeling your kitchen, or any other room in the house, give us a call! Timco Construction has been in business for 20 years and has serviced the Tulsa area for the past 10 years with pride and dedication. Timco Construction is ready to give our all to your project!